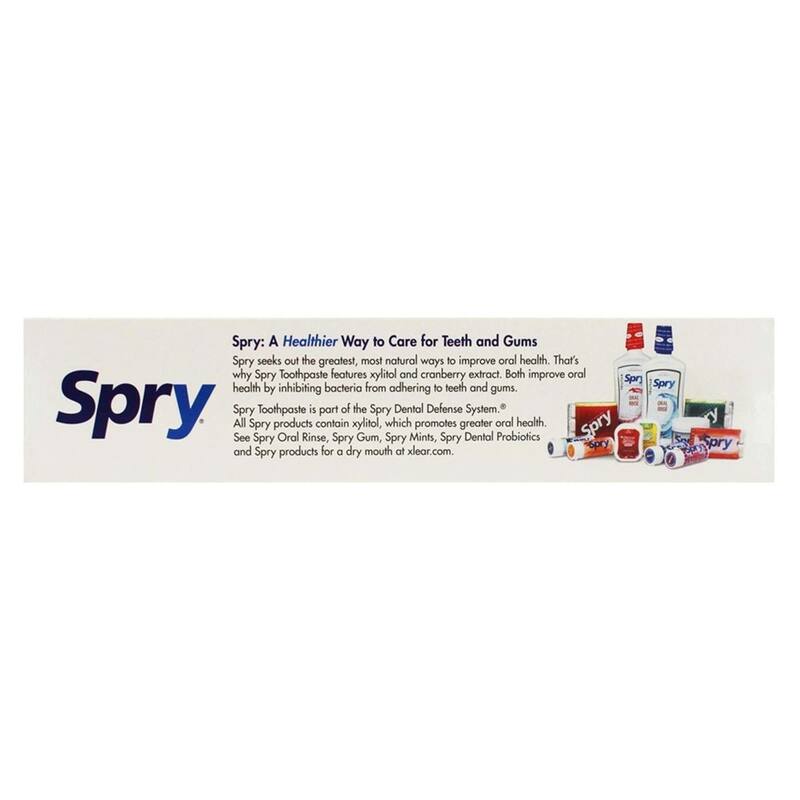 Spry Toothpaste by Xlear is made with a tooth-friendly xylitol formula. 警告: Do not ingest. Supervise children. 注意事项: Safe for use by adults and children 2 years and older. 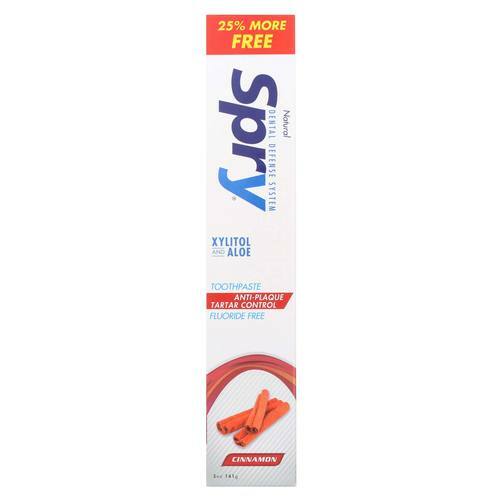 Ingredients: Aqua (purified water), xylitol, silica, vegetable glycerin, sorbitol, cellulose gum, sodium methyl cocoyl taurate, aloe vera, calcium glycerophosphate, natural cinnamon flavor, sodium benzoate, stevia, titanium dioxide, xanthan gum. 推荐用法: Adults and children 2 years and older, brush teeth thoroughly after meals or at least twice a day or as directed by your dentist. Spry Toothpaste contains no fluoride and is "kid safe." It is not harmful if swallowed.